Calling all Vendors…Come out and strut your stuff! Join us June 14th and 15th at the Global News Fit Expo at the University of Manitoba *INVESTORS GROUP ATHLETIC CENTRE. 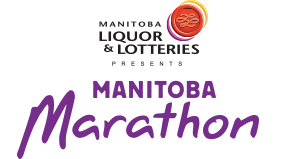 The Fit Expo is where participants pickup race packets, official Manitoba Marathon merchandise is launched, donations for our charity are gratefully accepted and Sponsors/Exhibitors are on hand to “sample and strut their stuff!” The Expo is free, open to the public so bring your family, bring your friends and catch the spirit of the Manitoba Marathon. Use the opportunity to get your message out to 14,000 people! Each booth comes with one six-foot (6′) draped table, two chairs, and one waste basket. Use of electricity is an extra cost of $100 per booth and can be arranged by contacting us at (204) 415-4517. Our sponsors receive preferred placement. We are pleased to place all others on a first come first served basis. Download and print the Fit Expo guide and registration form.